In a stunning turnaround, Maine has gone from the middle of the pack in vaccination rates for 19- to 35-month-old children to the highest in the nation in 2014, according to new figures from the U.S. Centers for Disease Control and Prevention. This is another opinion on the Vaccination issue in Maine. What happens when a parent’s statutory right to make decisions comes against a court order to the contrary? If the child is in the custody of the state of Maine, the answer is very much up to the judge. The number of American students in high-poverty school districts, as defined by having more than 20 percent of their students below the federal poverty line, increased during the Great Recession from 15.9 million to more than 26 million, according to a new report. The Maine Supreme Judicial Court is seeking comments from the legal community and the public on a proposed rule change that would limit the shackling of juvenile defendants in criminal cases. Parents in St. Francis were well aware their children would be bused to Fort Kent when they voted last week against appropriating local funds to keep the community’s elementary school open. Back to school is going to keep me busy I'm afraid. Okay, so the following article is from Florida, but mentions Maine as a state where the problem being discussed is also taking place. 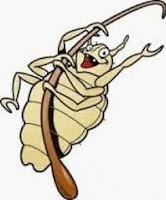 That problem being Head Lice that have developed an immunity to the current treatments that we have for them. Scientists that study lice populations across the country have reported that the bugs found in at least 25 states have developed into creatures that are quite resistant to common over-the-counter treatments. The researchers reported those findings to the American Chemical Society this week. Here's another article from Maine, but I had to search it out because it didn't just pop up in the news feeds. Just in time for the kids to go back to school a new study has found 25 of the 50 states have head lice that have built up a tolerance to normal treatments making them immune. Fortunately, this is not the end of the world, as according to the article, there are still prescription treatments that are effective, and lice don't carry disease like ticks do, which the media has been going off about as recently as today, but that's not the point. The problem is in the way the State of Maine Center For Disease Control will handle it. They will monitor the situation. They will identify the schools and families with the head lice outbreaks. The media will sooner or later jump on it. School nurses will call parents and parents will go to the doctor for treatment, or shave the kids head so there is nowhere for the little buggers to hide, whatever. If they don't solve the problem quickly, a social worker might show up to inspect the home and move along the process among other things. It will be just like when they failed to notify the public of where the Chicken Pox outbreaks were back a couple years ago, forcing the Propaganda Press Herald to take them to court on a Freedom of Information Act request. The Maine CDC has refused to release the names, citing privacy issues, but the newspaper says information about outbreaks of infectious diseases would help the public avoid exposure. And yes, no matter how clean you are, sooner or later your kid will probably come home from school with head lice. You could get head lice while trying on new cloths at your favorite high end clothing store. You could get it from the person who sat in the seat on the plane ahead of you when you went on your trip to the Bahama's too. There is really no way to escape it short of total isolation. Bwa ha ha ha ha. The mayor of Biddeford says he has received new information regarding allegations made against the Biddeford Police Department. Under Maine law, parents who don’t want their children to be vaccinated can opt out, whether their objections are medical, religious or philosophical. But Maine’s highest court recently ruled that parents who lose custody of their children to the state also forfeit the right to make medical decisions for those youngsters – such as refusing immunizations. The court’s ruling is a sound one that recognizes the duty of state officials to do all they can to protect kids in their care. Protect Your Family: CPS Hates Good Moms CPS Wastes Time Trying To Kidnap Kids From Non Offending Loving Homes for Adoption Industry While 15 Year Maine Foster Dad aka Scum Abuse Foster Child and Social Worker Negligent For Not Reporting It. Maine’s receipt Thursday of a waiver from strict federal education guidelines means state government and local school districts can continue to develop their own plans to improve schools without the risk of losing $48 million in federal funding. The Maine court system is looking for members of the public interested in sitting on a panel being set up to review complaints made against guardians ad litem. They will probably pick some lawyers or man-haters or something for this as it's usually the fathers who are complaining. I suggest the guy who does this blog for this pannel, but who am I to make such a recommendation? I will name two GAL's who should be booted from the GAL List though. Judith Plano and Chris Dilworth. Judith is a father hater who sides with the mothers, and Chris Dilworth will sign off on the states request to terminate a parents rights, just to get the GAL contract which he can keep until the kid turns 18. The state of Maine has won a three-year waiver from the requirements of the No Child Left Behind Act, which governs federal education policy for elementary and secondary education. The reprieve is drawing praise from state officials and educators. Before you read this article, please understand that the woman who kidnapped her kids had her kids kidnapped by DHHS first. She was trying to get them back. A Maine woman convicted in February of kidnapping two of her children and driving them to South Carolina has asked to leave the state to engage in a custody battle. The state acted legally when it ordered immunizations for a child in its custody against the mother’s wishes, Maine’s highest court ruled Tuesday. Isn't it just wonderful how the Propaganda Press Herald is looking out for the health and well being of our children while milking and inflating a health issue that would require property owners to shell out thousands of dollars to fix thus inflating rents and making it hard for people with kids to find housing? I have already covered this issue during this recent propaganda awareness campaign against old housing, but there was a paragraph in this article which is concerning to me. Instead of screening homes for the toxin, Maine takes the ethically dubious approach of using children as lead detectors. Once a child is identified as lead-poisoned, then the state conducts a home inspection, relocates the family if necessary and works with the property owner to fix the site. First of all, the state does not relocate the person. They force the Landlord to do it. And what they call "working with the property owner to fix the sight" involves loans that the Landlord will ultimately have to pay back, adding potentially thousands of dollars in costs which will go back on any future renters. More concerning than that, however is the line, "Instead of screening homes for the toxin, Maine takes the ethically dubious approach of using children as lead detectors." A longtime foster parent from Belfast was indicted last week by the Waldo County Grand Jury and charged with gross sexual assault and unlawful sexual contact against a 9-year-old foster child. This sounds great and all, but they're probably more likely putting them in group homes and psych wards where they give them psych meds and call them better and sell the stupid people on what they want them to think works. The state is producing fewer young inmates, giving youthful offenders a better shot at future success. The state does not make a good parent. Never has and never will. A few successful social programs aren't going to change that. The closing of the Mountain View Youth Development Center marks an important turning point in how Maine treats its youngest offenders. Instead of sending children to a detention center, Maine has aggressively pursued alternatives, which is better for the kids and for taxpayers. Now they're going to harp on it until landlords stop renting to people with kids. Now they're going to harp on it until the sheep scream out, "keep our kids safe" and the landlords stop renting to people with kids due to the liability risk. The twin cities' rates of childhood lead poisoning remain at least three times the statewide rate, despite education efforts aimed at landlords. Westbrook police have dropped the child endangerment charges against a mom who let her young daughter play alone at the park. 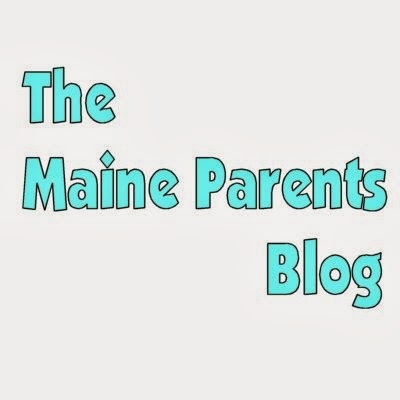 Good, I was hoping that Maine wasn't going to give into the helicopter parent mentality. It's the police's fault if the town isn't safe. It should be the parents decision to let their kids play outside or not. Not the police. I haven't come across any related articles yet, but will post them as soon as I do. So I've come across 2 articles with one coming from many different sources, as if it were released as a press release. These articles have to do with the led paint issue, which I've brought up before. This is certainly an issue that warrants some concern, as would anything that effects the health and well being of our children. They like to fluff the problem to cause a panic though. So here we go. 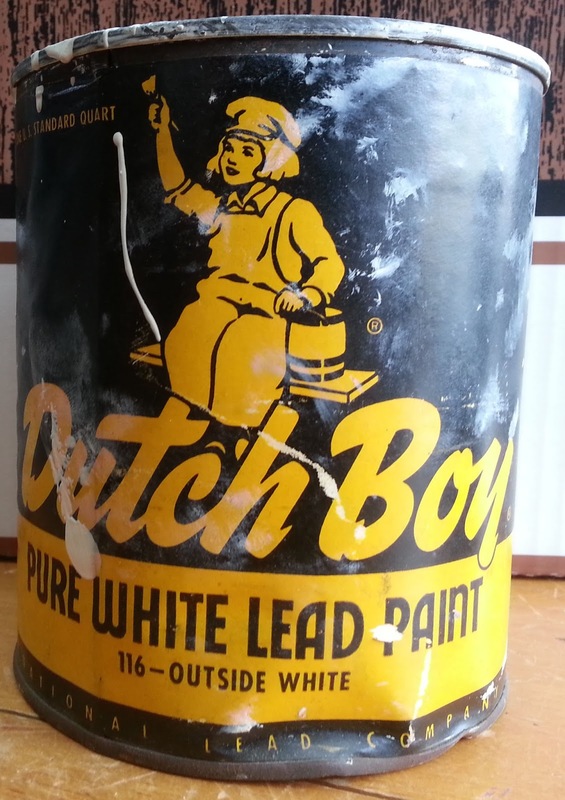 Experts know the solution is to remove lead paint from homes or maintain it so it doesn't chip, peel or break down, but officials have taken a cheaper approach that means lead poisoning will persist. The problem I have with this is the way the state handles it. When your doctor reports the issue to the state, they invite themselves into your home. They inspect it thoroughly. If you don't comply, they report you to Child Protective Services. Either clean up the problem or face having the place condemned. For homeowners it's very expensive to do. Also, this woman, Susan Lee, from the CDC who calls you to inform you of the oncoming invasion is not very nice. Most children with lead poisoning are from poor families who live in lower quality apartments. The state does not help these people relocate to safer housing. Nor are there any incentives for landlords to provide it, and it therefore becomes harder for people to find affordable rents. Nor are there very many lead free homes in Maine. Therefore we're all screwed.